The anger and intolerance from some of the crowd is shocking. 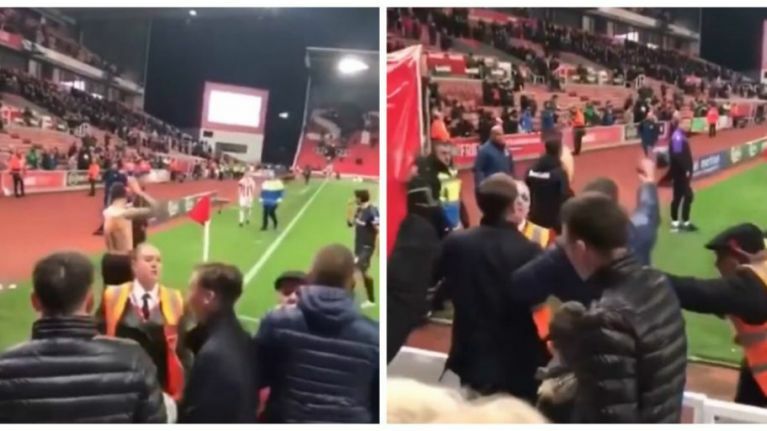 On Saturday night, Stoke City and Republic of Ireland player James McClean addressed the abuse he had received for not wearing a poppy during his game against Middlesbrough. "They have nothing in their whole imperial arsenal that can break the spirit of one Irishman who doesn’t want to be broken. Your abuse, your throwing things, your booing, do your worst. To the home fans that are actually educated and support me, thank you. To the section of uneducated cavemen in the left hand corner of the Boothen End Stand that want to song their Anti-Irish songs each game and call me a Fenian this and that, I am a PROUD FENIAN. No c**t will ever change that, so sing away." "We recognise that the poppy means different things to different individuals and communities and (like the Royal British Legion) do not believe that anybody should be forced or even pressured to wear the Poppy against their free will. James has informed us that he will not be wearing a Remembrance Day Poppy in our next two games. We respect his decision and his right to follow his own convictions."